WIKIMEDIA, NATIONAL INSTITUTES OF HEALTHThe brain may continue to harbor old memories, even if they can’t be recalled anymore, according to the results of a mouse study published this week (May 29) in Science. Scientists induced mice to have amnesia, then reactivated particular neurons that had been active during the formation of a memory, and the memory—fear of a cage—returned. 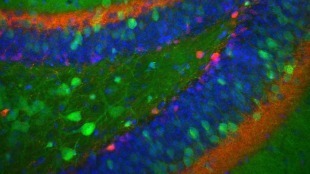 Tonegawa and his colleagues identified genetically labeled neurons—called memory engram cells—that were active in mice during the formation of a memory, in particular, learning to fear a particular cage. 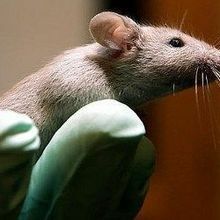 Then they administered a chemical to induce amnesia in the mice shortly after the training (the drug blocks synapses from strengthening), and the animals no longer exhibited fear of the cage. 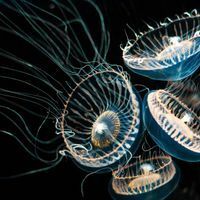 “So even though the engram cells are there, without protein synthesis those cell synapses are not strengthened, and the memory is lost,” Tonegawa told MIT News. 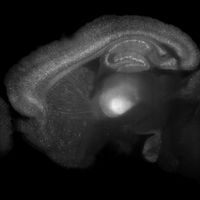 The mice were also genetically engineered to have light-sensitive neurons, and Tonegawa’s team excited the labeled neurons, which caused the mice to show fear behaviors in a new cage. “It’s not surprising that they could trigger the memories, but it is a cool way to do it,” James Bisby, a neuroscientist at University College London who did not participate in the study, told New Scientist.